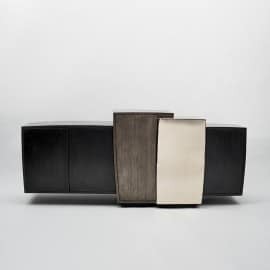 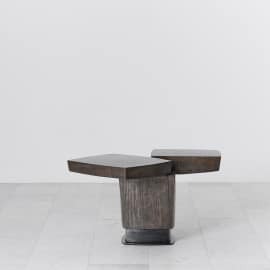 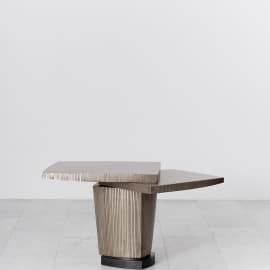 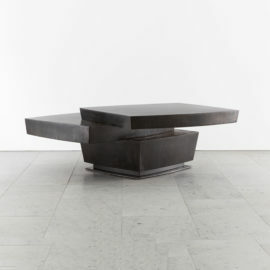 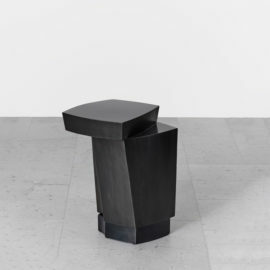 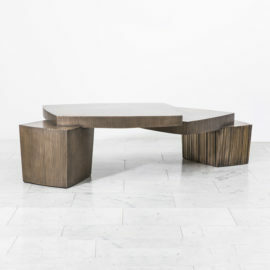 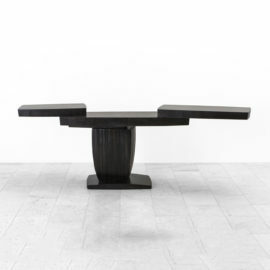 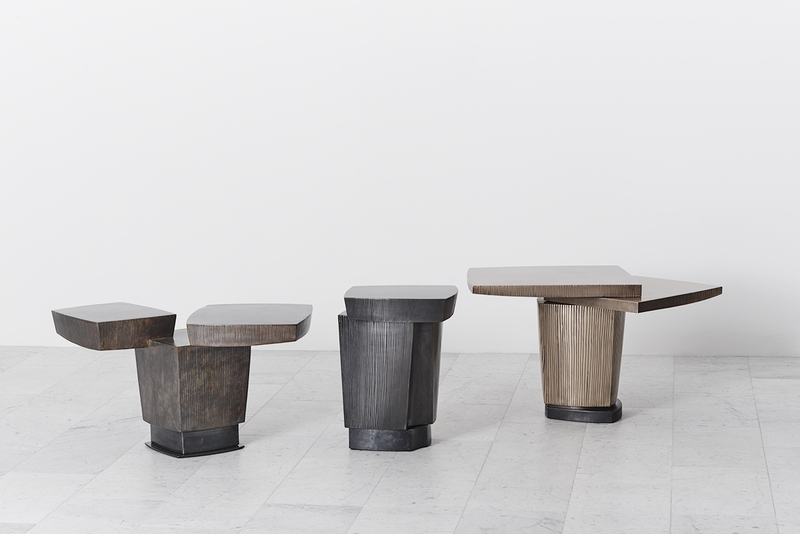 Since joining Todd Merrill Studio in 2013 Gary Magakis has built a cult-like following among top designers and collectors for his dynamic studio-driven metal furniture composed of seemingly simple geometric shapes. 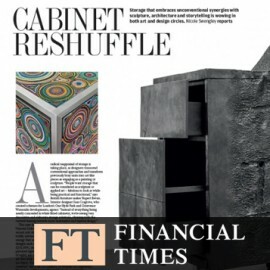 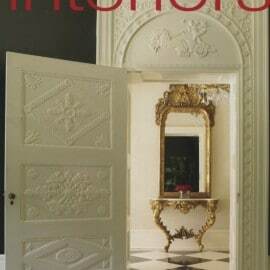 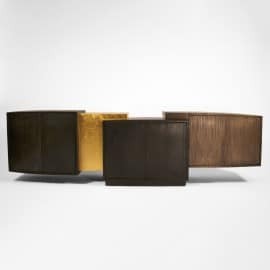 His hand-formed bronze and steel designs have been featured in Financial Times, Architectural Digest, and Interiors Magazine, among others. 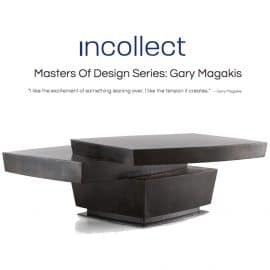 Magakis’ works have been acquired the National Museum of American Jewish History (Philadelphia), Delta Airlines (Cincinnati, Ohio), Coca-Cola (Atlanta, Ga.), and Citicorp (Cleveland, Ohio). 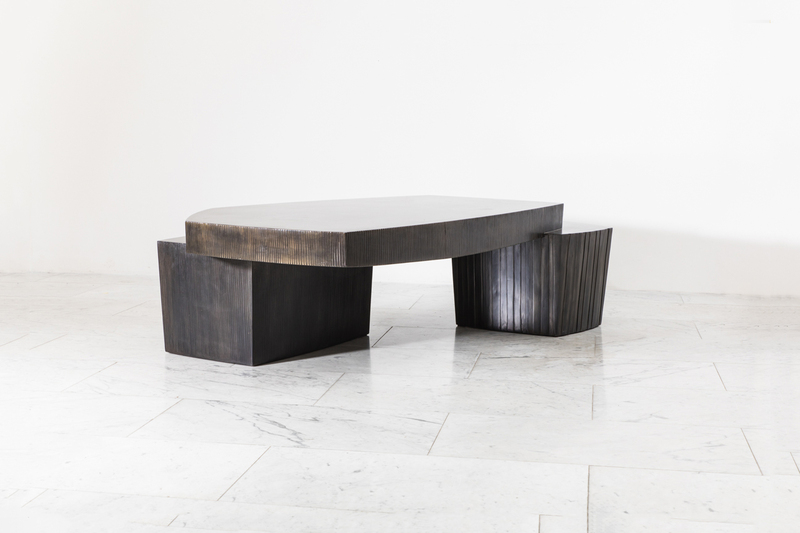 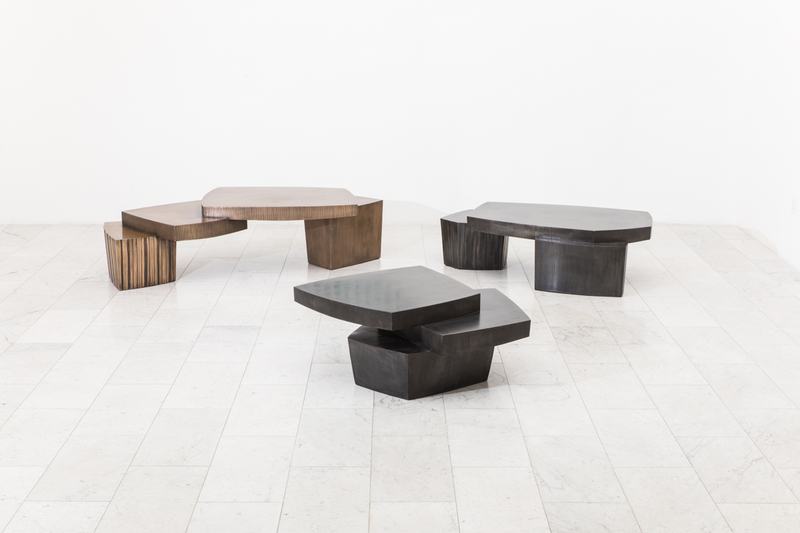 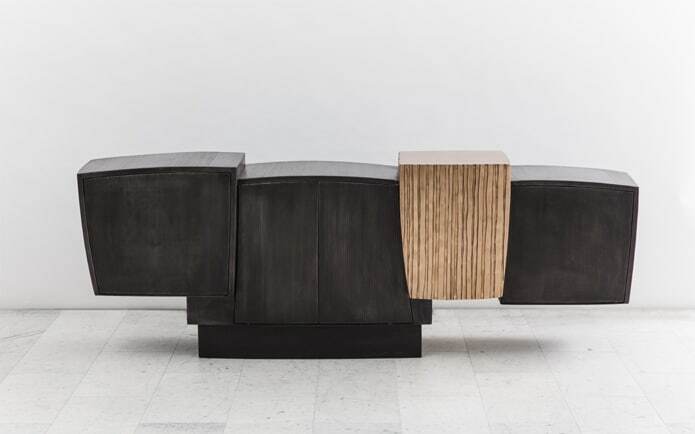 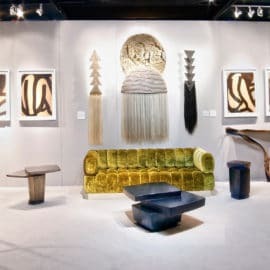 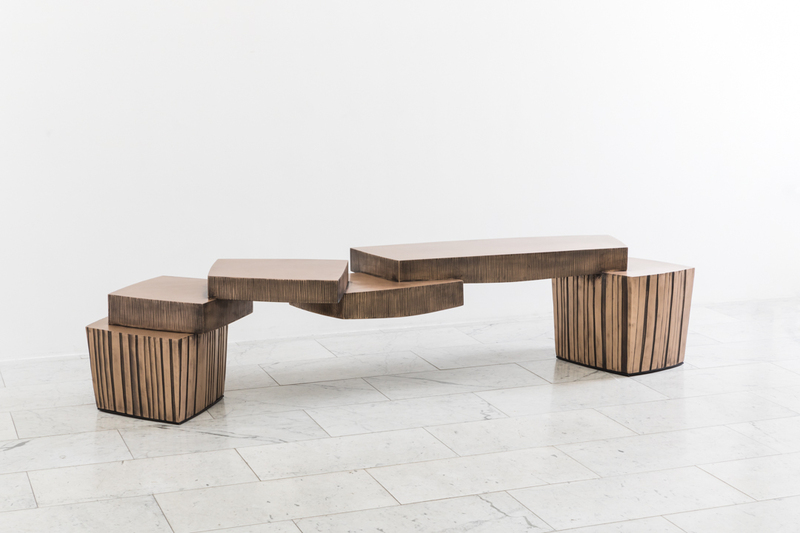 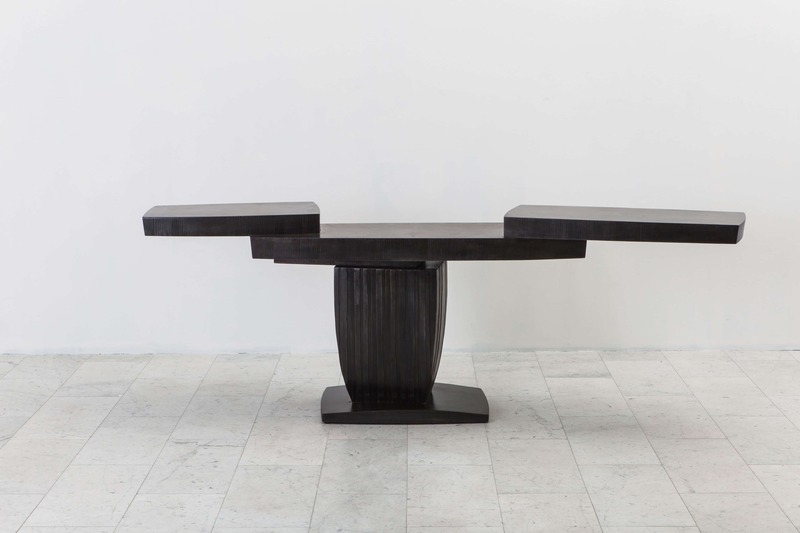 When creating his bronze and steel sculptural furniture, Magakis looks to ancient metal arts, modern architecture, and the American Studio Craft Movement for inspiration. 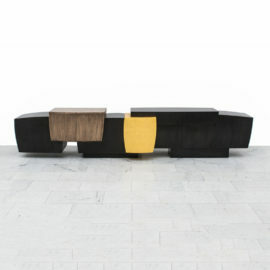 However, it is the work of Paul Evans that has left the most significant impression on Magakis. 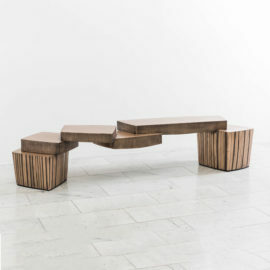 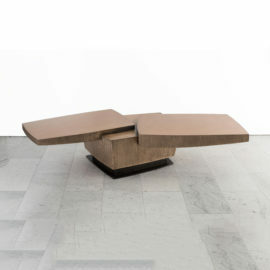 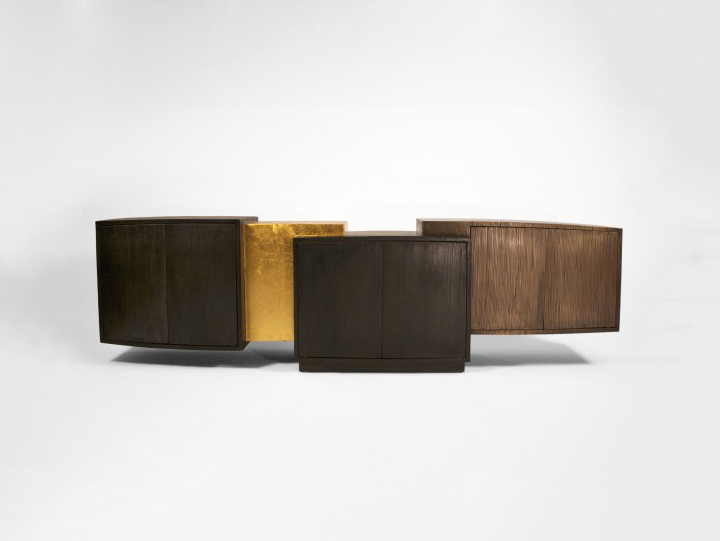 Evans’ unprecedented use of sculpted metal forms and patinated surfaces is reflected in Magakis’ Sculpted Metal series. 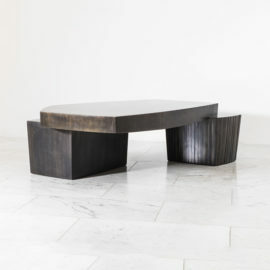 Magakis’ distinct approach to design produces bold and dense geometric forms that exude a Modernist elegance and buoyancy. 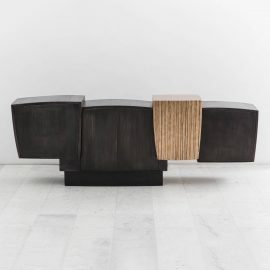 Magakis’ furniture is infused with a sense of place: his summer studio is a farm north of Scranton, Penn., at the foot of the Endless Mountains, and he attributes his fondness for cantilevered forms to Wright’s “Fallingwater,” in the southwestern corner of the state. 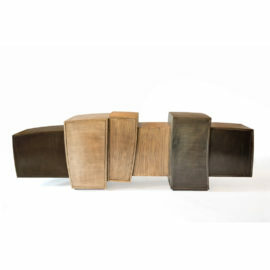 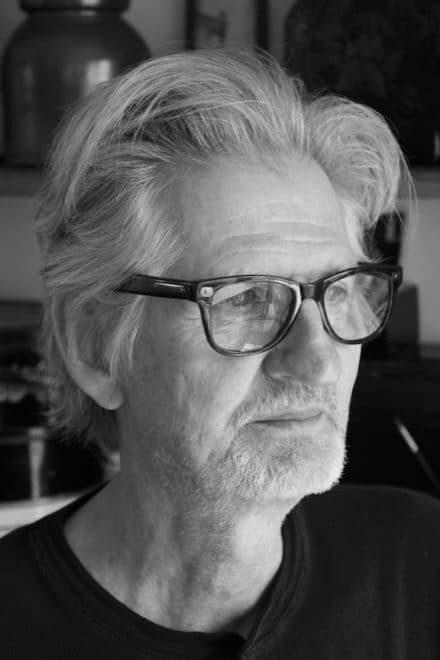 Magakis received a degree in sculpture from Penn State and studied welding under the instruction of sculptor Klaus Ihlenfeld, Harry Bertoia’s former assistant.